4 stars of futuristic sci-fi action. 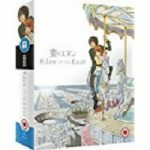 Eden of the East is an original story created, written and directed by Kanji Kamiyama (Ghost In the Shell: Stand Alone Complex) and produced by Production I.G. (Guilty Crown, Psycho Pass). 3 stars for this reverse harem anime. Brothers Conflict is based on the Japanese novel series created by Atsuko Kanase, written by Takeshi Mizuno and illustrated by Udajo. It is adapted to anime by Brain’s Base (Baccano!) and directed by Jun Matsumoto (Night Raid 1931). 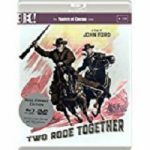 From the revered director John Ford (My Darling Clementine, The Man Who Shot Liberty Valance, Cheyenne Autumn) and his trusted writer Frank S. Nugent (Fort Apache, She Wore a Yellow Ribbon) comes a classic western that has the Masters of Cinema #158 upgrade, and with a new 27 page booklet and special features. A Girl battles for Love. 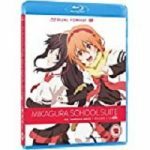 Funimation and All The Anime bring us a light hearted story of a girls crush on the grand daughter of the school Principal (Yuri). This series was written by Masahiro Yokotani (The Devil is a Part Timer) and produced by Dogakobo (Majestic Prince). 3 star hack and slash horror flick. My Little Sister is an Italian film written and directed by Roberto del Piccolo and Maurizio del Piccolo (The Hounds, Evil Souls) and has won a number of awards, including “Best of Show” – World Horror Convention and “Best Italian Movie” al Fantafestival. 4 star beautifully tragic love story. 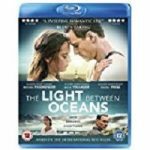 The Light Between Oceans is based on the 2012 novel of the same name by M.L. Stedman, adapted for the screen and directed by Derek Cianfrance (Blue Valentine, The Place Beyond the Pines). 4 stars of hilariously rude agricultural studies. 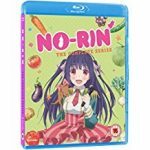 No-Rin is based on a light novel series written by Shirow Shiratori and illustrated by Kappu. It was adapted into anime by studio Silver Link (Fate/Kaleid liner Prisma Illya).